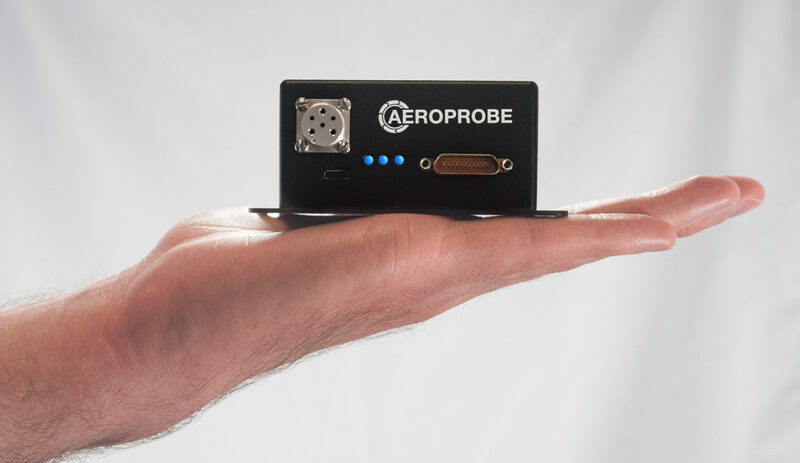 Aeroprobe Corporation has added two new Micro Air Data Computers (μADC) to its product line. The Pegasus and Destiny models introduce new and streamlined features while offering the accuracy and economical size of the company’s current models. μADCs are used to gather and process air flow data in a range of applications and industries. When used in conjunction with an air data probe, such as those from Aeroprobe’s expansive product line, μADCs offer a complete system for air flow data acquisition and analysis. These products are used in the unmanned systems industry primarily for avionics to collect real-time air data for increased flight performance and stability. Other industries leverage the mobility of this system to make measurements in remote locations or on board moving platforms. For example, the wind turbine industry can evaluate wind characteristics in real time and use that information to adjust the pitch of the turbine blades to maximize power output. Trucks and other motor vehicles can respond to real-time wind data to maximize vehicle aerodynamics. One new model includes an Attitude Heading Reference System (AHRS) that provides attitude information, including roll, pitch, and yaw. Other new features include an RTD input for low-noise air temperature measurement and a quick disconnect pneumatic connector for a faster and easier setup process. In addition to the standard airspeed, angle of attack, angle of sideslip, and barometric altitude measurements, all models include field programmable firmware, external GPS synchronization, and data logging or streaming capabilities in a small, light-weight and low-power package that is comparable in size and weight to a cellphone. Learn more about the new products.